A new Board was elected at our September 24, 2018 Annual General Meeting. Gary Bradshaw – President – I have lived in Orleans-Convent Glen area now for over fifteen years. Recently I introduced a new initiative called Cycling Without Age to the city beginning in 2016. This program involves volunteers taking the time to take local seniors out for bike rides from various senior residences. I am big believer and supporter of giving back to our community and would love to see more of our CGOWCA residents involved in our community. I am looking to try and build strong relationships between residents, businesses and other community groups in the area through events and good communication. 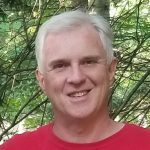 Garth Williams – Vice President – My wife and I moved to Orléans to live and raise our children in a vibrant bilingual community. We met our neighbours at the local park, enjoyed outdoor sports year round and found great teachers at our local school. We have lived, worked and volunteered here for almost 20 years. I joined the Community Association to work with neighbours, local associations and businesses, and help our community grow as a place where French and English come together and it’s easy to find community resources, share our talents and cultures, stay active, start a business and make friends. I invite everyone to join us! Louise McLaren – Treasurer – I returned to Orleans over five years from being in Ottawa’s East downtown core. I lived here as a teenager when Orleans was growing fast and furious but had few of the amenities that are here today. I have volunteered in different organizations and look forward to contributing to the Convent Glen Orleans Wood Community Association. I have a special interest in the cross country skiing and cycling in Orleans. 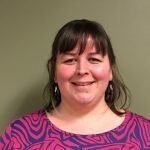 Fran Childs – Secretary – I moved to Convent Glen in December 2016, but have quickly realized what a beautiful part of the city it is and as a result was interested in joining the Community Association as a member of the board to help in whatever way I can. I have worked in the non-profit sector for most of my career and am currently working for a private non-profit housing organization. I look forward to building connections with and among members of this community so that everyone feels as welcome and as included as we have since moving here. I think that inclusive, welcoming communities are important to the health and quality of life of everyone and I believe that neighbours building relationships is a key factor in such communities. In addition to my role as the secretary, I will contribute by getting involved in planning and promoting events that will help us get to know one another. Karen Chow – Board Member – I am a relative newcomer to Orleans, having moved to Beaujolais in the “Wine District” in 2013 with my husband. I am currently enjoying retirement from 22 years as an elementary teacher. I have a long history of volunteering in my community and faith group. I joined the board because I have a strong sense of community and a desire to give back to the people who share my neighbourhood. My vision is to see the community association become a hub of communication for people who live in the area, so that our sense of belonging to one another grows as we discuss issues that are of concern to all of us. I’d also like to see the association grow in numbers and activities that will bring us all together. 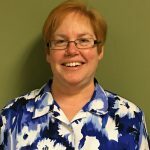 Miranda Gray – Board Member – Miranda has been living in the Grey Nuns area of Convent Glen – Orleans Woods since 2005 (and in Orleans since 2000). She grew up in southern Ontario and moved to Ottawa to attend the University of Ottawa. She is a change management consultant / IT project manager working in Gatineau. She is active in the coordinating activities with the other community associations and groups in Orleans. She also tracks the development and transportation issues for the board. Her focus for the community association is building strong links between the association and other groups active in Orleans. Mireille Brownhill – Board Member – My family moved to Orléans from Blackburn Hamlet in 2001, and we’ve loved it here ever since! We’ve been in our current house in Convent Glen for 13 years now. I joined the board of the CGOWCA to become involved in our community, to help develop relationships between neighbours, create new traditions and help bolster ongoing activities. I’ve been involved in school activities for my three sons and I am a current volunteer at the OCCRC. Social justice and access to resources are my jam. Toby Bossert – Board Member – I moved to Convent Glen in 2013 and I was amazed at how much green space we have. For someone who grew up in the country, it felt like home. Where I grew up we had a very vibrant community with lots of events. I see that same community spirit here in Orleans. I joined the Community Association Board because I would like to do everything I can to nurture it and bring people together. I also ran as one of the candidates in the recent Ward 1 election. I ran because I care about the community and I wanted to make sure we had a hard-working representative. Thank you for this comment – hope your blog has been revived!